Home > Photography	> Lenox ArtWalk at Art & Chocolate! Lenox ArtWalk at Art & Chocolate! Lots of people visited us, some bought, should be many more today, a gorgeous early summer day. Just about perfect. My work will be at the gallery through the end of October. 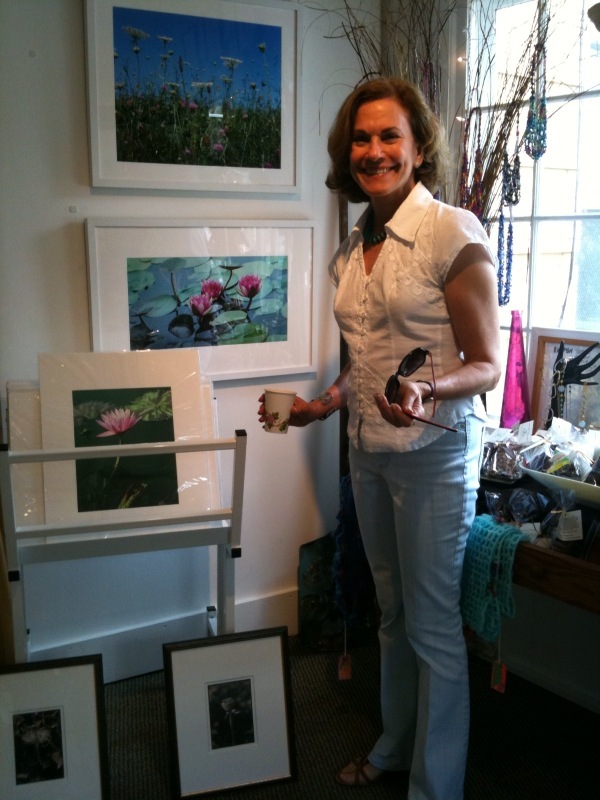 Art & Chocolate Gallery, 4 Housatonic Street, Lenox, MA 413-637-9114. Owner Diana Bartlett would be delighted if you could stop in during the summer. This photo was taken by jewelry designer Kelli Peduzzi with her new iPhone.